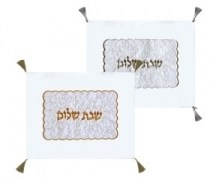 The Challah Covers for sale on our site are a celebration of the sacred ritual. 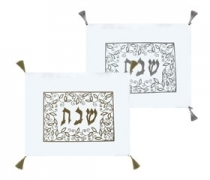 The Challah Covers are made of majestic velvet or satin cloth that comes in a variety of colors. Excerpts or quotations of the Torah may be embroidered on the Challah Cover in a variety of colors. Different designs may be customized or chosen from the existing stock. 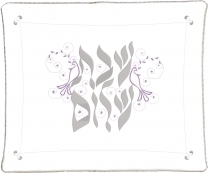 Also check out the hand-made embroideries of our Challah Covers. 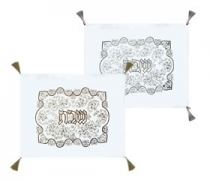 The Shabbat table adorned with our Challah Cover will be a great beautification of your Kabalat Shabbat!